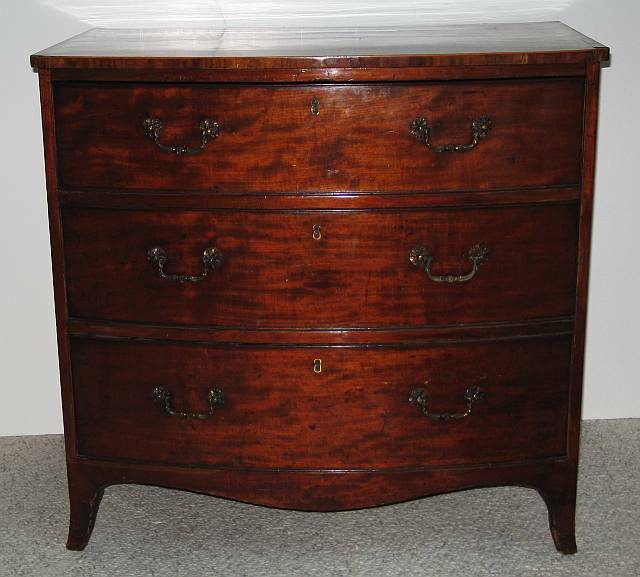 English mahogany three drawer chest with bow front, scroll base and shaped feet. Old hardware in original holes. Satinwood stringing outlines the banded top.